When caring for your loved one becomes very involved especially if you require senior home care. Caring for your loved one can involve multiple issues such as life planning, giving emotional support, and managing their home/property as well as other daily services. Senior home care is extremely desirable for couples that require these and more senior services in the comfort of their homes. This type of home care is a desirable option because the alternative often means having to separate the elderly spouses due to the nature of their senior care needs. Most Edmontonians love living within this beautiful region of Alberta and over a million people have made their homes here, including more than 11 percent who are over 65 years of age. With so much of Edmonton’s population growing older, quality home care for seniors is becoming more common within households, in support of the post-retirement stage of life for the region’s people. Senior home care is a service provided to help aging adults continue residing within their home and living an independent life, even as growing older presents common limitations on their lifestyle. Many seniors want to remain within the home they love and where they feel most comfortable, where they have formed a life and are most familiar with their surroundings. Home care helps them do just that, even after they are unable to fully care for themselves. Home care for seniors addresses issues and obstacles of everyday living, the little things younger people tend to take for granted, which can limit independence. As we grow older, our bodies start to change in even subtle ways that can make it hard to live alone or with another aging person. Everyday activities become harder to complete, such as shopping, taking care of the home and cooking. Even just opening a can of food can become difficult from arthritis or other problems. When such changes are happening to people we love, we often take on the responsibility of helping the seniors live their everyday lives. By nature, humans want to help each other. But this, too, is taxing. Caregivers suffer from constant pressure and demands of adequately caring for a loved one, on top of trying to maintain their own healthy lifestyle and wellness. Home care services exist to fill the gap between loving an aging adult and becoming consumed by the rigors of caring for one. Such services afford people the ability to provide the loving care a relative needs, while also remaining well and personally whole enough to remain a joyful part of each others’ lives. For many seniors, there are no relatives to assist them with everyday matters. For these people, home care is a means of maintaining the independence they have become accustomed to, despite not having children or others nearby to help with things such as errands, personal care and house cleaning. For independent people who are aging, just having a trusted companion visit several times per week to ensure everything in the home and senior’s life is as it should be can make a huge difference in lifestyle and peace of mind. Who Does Senior Home Care Benefit? Home care for seniors benefits everyone around that aging adult, in helping to keep personal relationships free of some of the stressors that aging presents. But the two primary groups of people home care benefits are the families of those seniors and the seniors, themselves. Senior home care helps families by ensuring the quality time spent with their loved one remains time of quality. In other words, when a family provides their loved senior with home care, visits no longer need to be laden with responsibilities such as household chores, errands or attending doctor’s appointments. Those are responsibilities which bring inherent stress and take away from the time families can spend actually engaged with their loved one, in just enjoying each others’ company. Through in home care, families also benefit from remaining free of the effects of being a caregiver to a loved one. Whether it is apparent on the surface or not, taking care of an aging loved one can weigh heavily on the caregiver’s mind, personal time and even their body. Many caregivers experience problems in their personal lives, after taking on the role of helping their loved one maintain independence as they grow older. Private home care removes this burden and its stressors, ensuring the families are able to remain healthy as their loved one is well cared for.Private home care services provide peace of mind for families wanting to help their loved one age within his or her own home. Home care also helps those families to remain whole and free of many of the stressors of taking care of aging seniors, thereby affording them the ability to spend real quality time with that senior when it counts. For seniors, private home care is peace of mind, too. When it becomes more difficult to physically or mentally manage the care of a household and oneself, home care services bridge the gap between independence and facility living. Staying at home can be the best gift a senior can receive or give him or herself, being afforded the ability to age where they are happiest, most comfortable and most socially engaged. Being at home can mean the world to such a senior. Often, it is embarrassing or difficult for seniors to admit that they need assistance within their everyday lives. While needing help is extremely common and almost inevitable for all of us as we age, asking for that help can be a hurdle which is difficult to overcome. Home care provides dignified assistance where, when and as it is needed most. 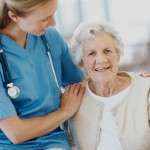 The duties of a home care service provider vary from individual client to individual client, and are custom suited to the needs of each senior and what will prove most effective in helping that senior remain in home as they age. Finally, home care provides scheduled consistency and reliability within the senior’s life. This helps the aging person remain in control of their independence. Home care is consultative and providers are able to work with the families and aging loved ones to assess where help is needed most and provide that as it is needed. One of the most important aspects of home care is that the in-home caregiver becomes a companion, someone who is trusted and empowered to help that senior age with dignity. Remaining Comfortable within Your Loved One’s Own Home: Just having the ability to enjoy one’s own personal space is invaluable. Having the right to come and go as one pleases, enjoy the outdoors as desired, visit with friends, socialize with neighbors and even just greeting the mailman each day can be life-enhancing. When in our own homes, we feel empowered, dignified and secure. For a senior, quality of life is largely influenced by being able to keep that personal space and chart the course of each day as suits them. This is the biggest benefit of senior home care. Companionship and Personalized Care: Caregivers are solely focused upon taking care of the senior’s needs. This enables them to relate better to the senior, becoming a trusted companion who is always compassionate and readily available. Dignity is a huge part of any senior’s motivation to remain at home. Caregivers provide that dignity by being a trusted source of comfort, attention, assistance and even general interaction with reliability and consistency. Versatility and Adaptability: Senior home care is adaptable. Caregivers are able to provide services as needs change and as the aging senior transitions between phases of life. Initial needs may be general companionship and reliable assistance around the home, such as housekeeping. But later needs may include medication reminders, cooking, running of errands and assistance in attending doctor’s appointments. Eventually, assistance with everyday activities like bathing and personal care may become necessary. As life changes, so can caregiving. Family Support: Merely caring for the senior is not where home care service stops. The family is also cared for, through open lines of communication with the caregiver and general peace of mind in knowing that the loved one is safe, comfortable, well, socialized and happy at home. Personal Care: Bathing, showering, oral hygiene, skincare, incontinence care, dressing, grooming and other personal needs can all be met through the assistance of a home care service. Homemaking: General housekeeping, changing of linens, laundry, dishwashing, plant and pet care, as well as other housekeeping services can be provided by a caregiver on a routine basis. Meal Preparation: Most seniors who live alone do not cook at all. They rely heavily upon microwaved meals and other foods of convenience. These are not healthy choices and do not meet nutritional needs. Whether assisting in meal preparation for someone who still enjoys cooking, or in preparing entire meals, caregivers ensure seniors are provided with the nutritional balance they need to remain healthy and active. Medication Reminders: As one ages, so many supplements and medications become necessary. These can be confusing or even easily forgotten. Not taking medication can mean the difference between life and death. Caregivers can track medication use and ensure doses are correctly taken on time and according to the doctor’s instructions. Money Management: Whether they just need to take prepared bill payments to the post office or help the senior ensure bills are paid correctly on time, caregivers are able to assist in taking care of financial matters. Companionship: Sometimes a senior only needs a friendly, trusted person to check in and ensure all is well. At other times the senior wants someone to walk with them to the park, enjoy some sunshine outside or just share a cup of coffee while talking about the day’s news. All of these services are provided through home care. Errands and Grocery Shopping: Many seniors are unable to drive. 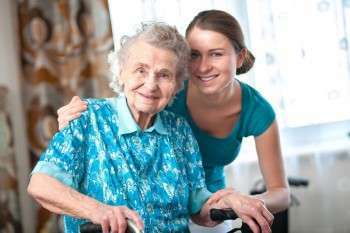 Ensuring the senior attends to personal needs such as grocery shopping, personal care appointments, medical appointments, general errands and other excursions is within the realm of capability for a quality caregiver. Caregivers ensure their clients attend necessary appointments and keep their personal needs met through assistance in errands. This assistance with errands is also important during long Edmonton winters, when getting around can be dangerous and frightening, due to the potential for slipping and falling. Caregivers help seniors fulfill errands and other needs conveniently, without the associated fear and risk. General Well Being and Routine Visits: As people age, they are at greater risk for falling and breaking bones. Through scheduled visits, caregivers are able to ensure all is well with the senior and that they are not left to fend for themselves for long periods of time. This includes checking into how the household is being kept, ensuring pathways are clear and rooms are maintained in an orderly fashion, so the senior can move about safely within the home. Many More: There are a wide variety of services provided through quality home care. Many individualized needs can be met with complete trust, discretion, consistency and dignity. Whether you or your loved one need home care assistance, quality home care can be the difference between living in independence within familiar surroundings, or having to enter a residential facility for the long term. Dignity, privacy, trust, companionship and independence are all inherent through home care. Enjoying daily life while being able to relax in your own home and live according to your own schedule are things no one should have to sacrifice. While living at home and being cared for by a home care provider, seniors do not forfeit those small luxuries that mean so much. They are able to continue living freely, socializing with the people around them, and enjoying their personal space. At the same time, families are able to maintain complete peace of mind, in knowing that their loved one’s needs are met. Contact us to learn about how we can assist you with home care services for the elderly. whether you are just requesting some additional information so that you can make a well-informed decision when its time, or if you need someone to help your loved one immediately. Get started today with a phone call or a FREE in-home no obligation consultation with an expert that understands senior home care. Looking for help with seniors at home? Contact us to learn more about senior home care and dementia home care services.